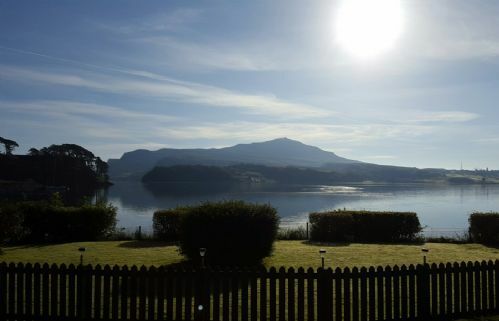 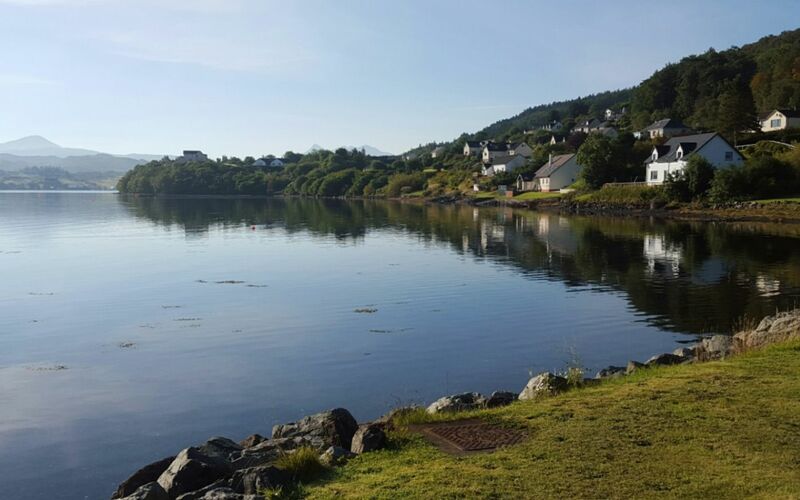 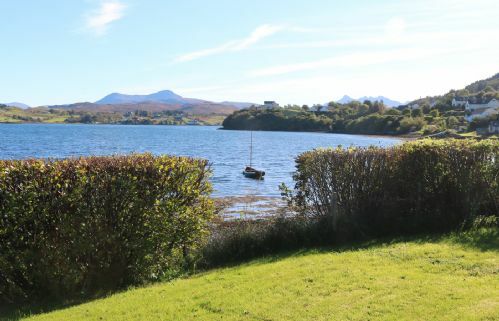 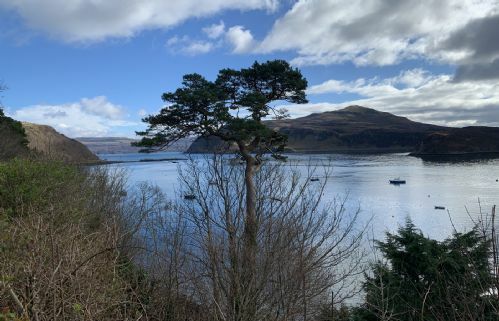 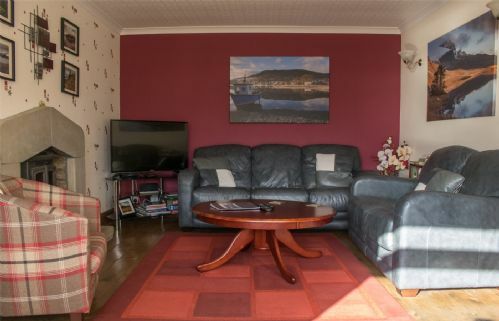 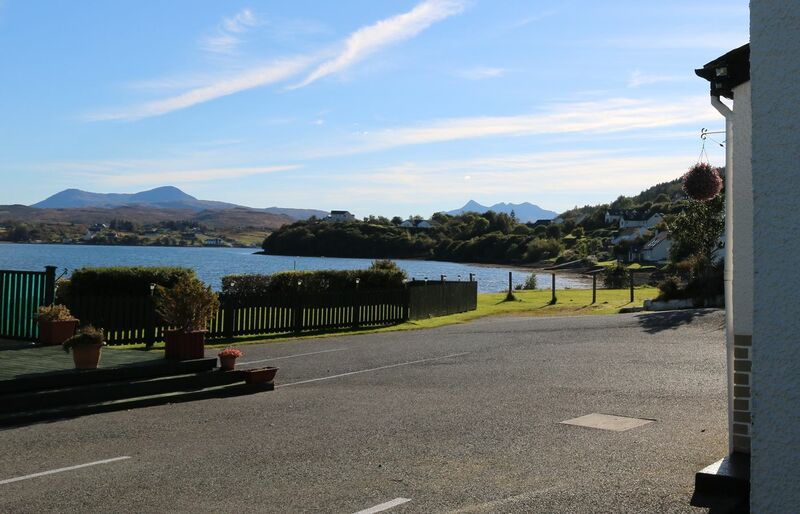 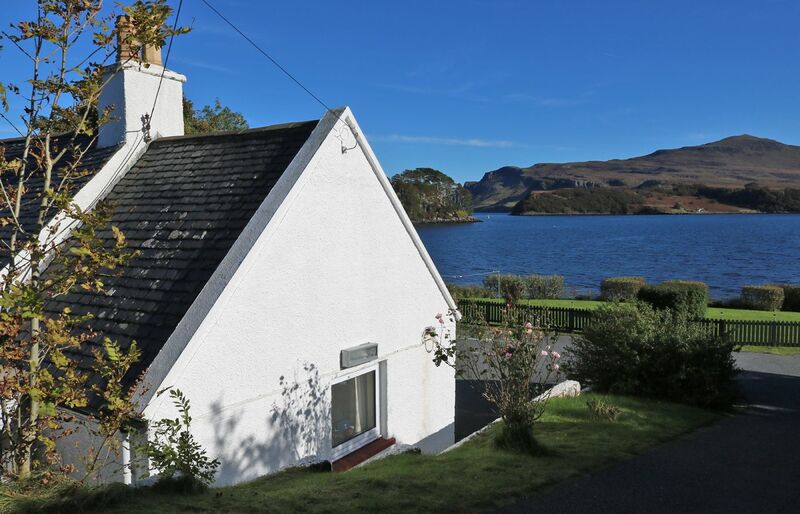 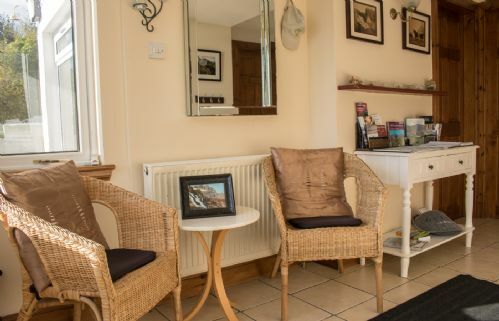 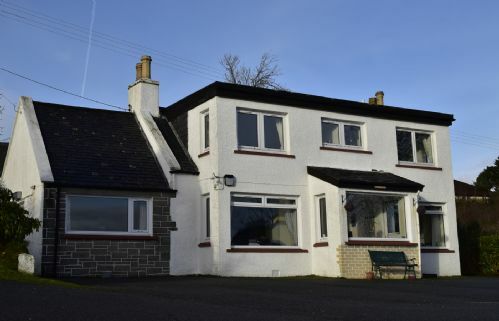 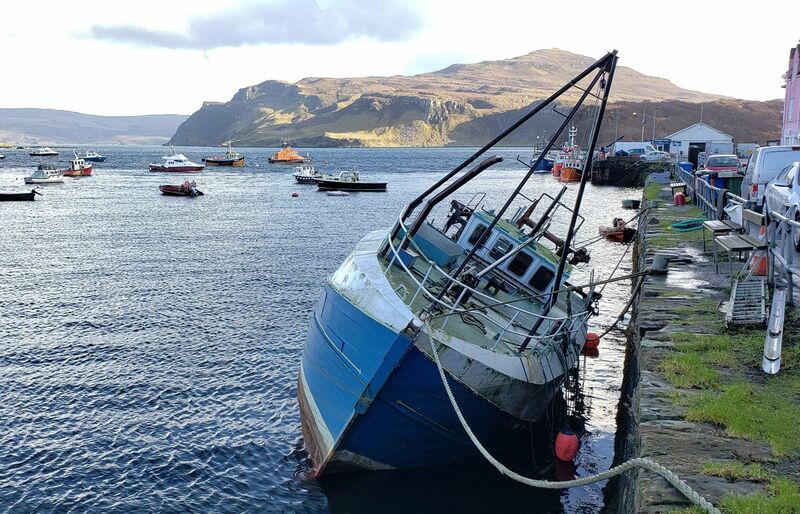 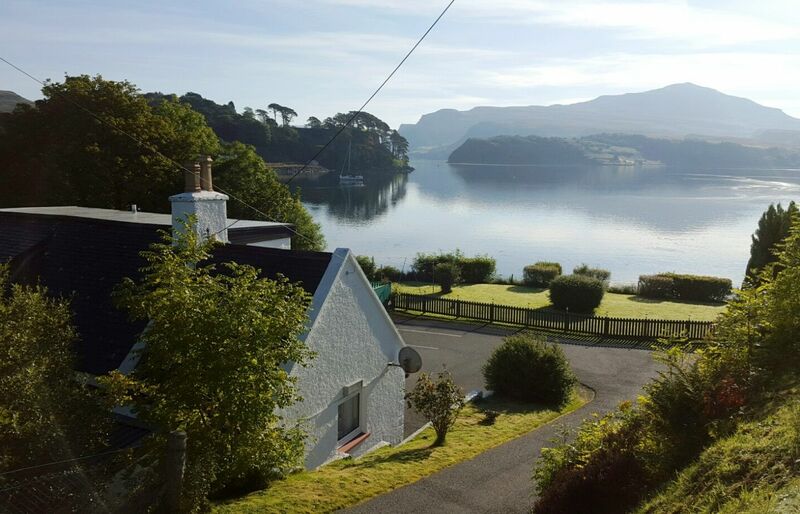 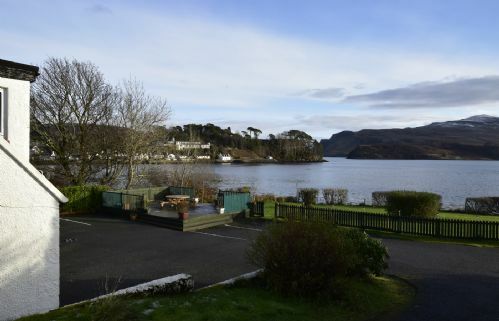 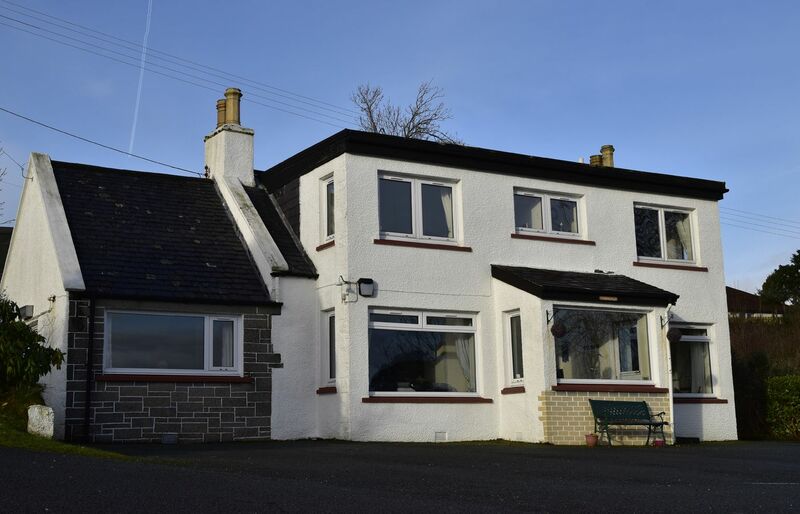 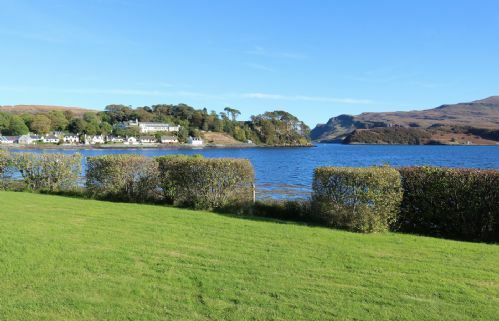 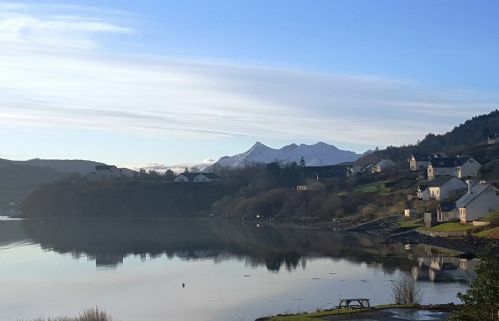 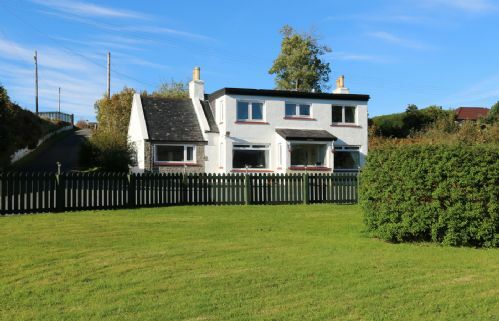 Tarradale Cottage, Portree is a spacious family holiday home just a five minute walk from the town centre and has a prime waterfront location. The garden leads to the shore and offers fantastic 180 degree views of Loch Portree, the Cuillins, Ben Tianavaig and Portree town centre. 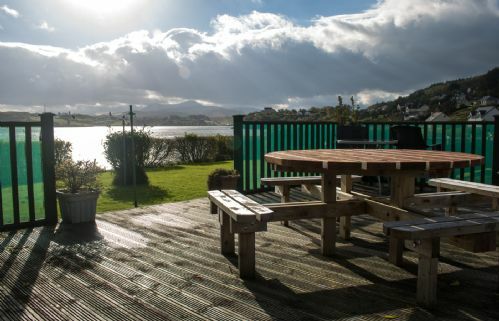 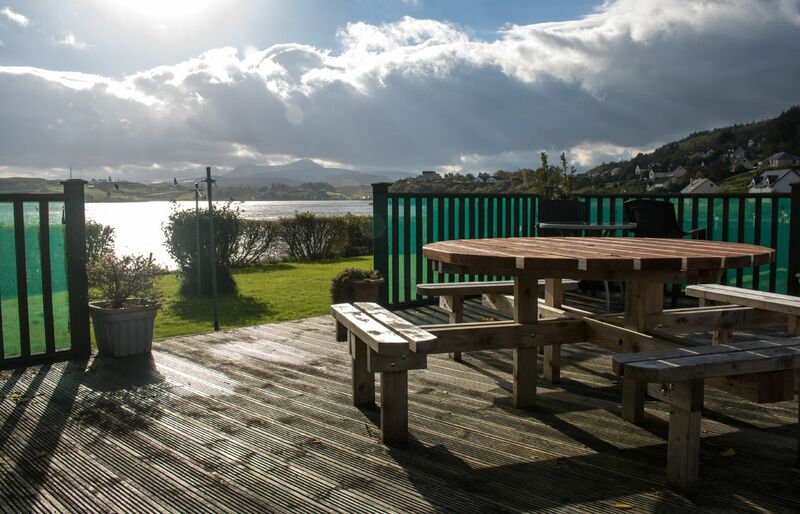 There is a decking area with garden furniture and a BBQ, perfect for enjoying the views and relaxing. 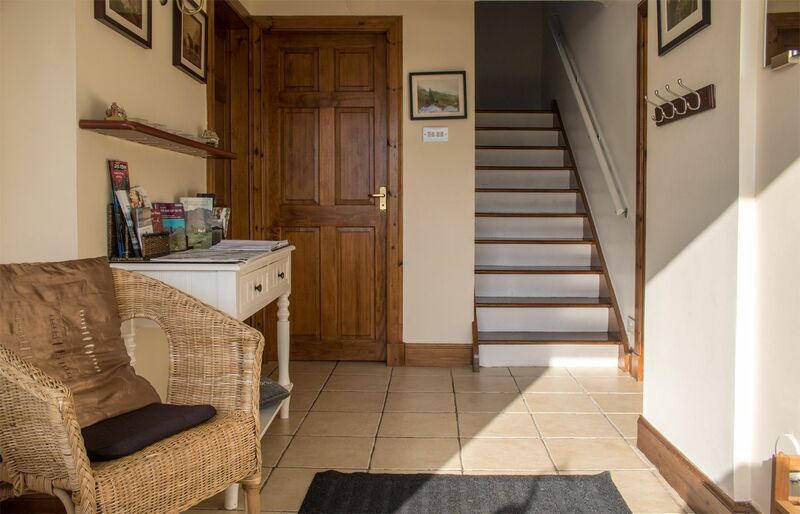 The cottage is entered through a spacious hallway with coat hooks and shoe racks. Leading off from the hall is the family bathroom with W.C., wash hand basin and bath. 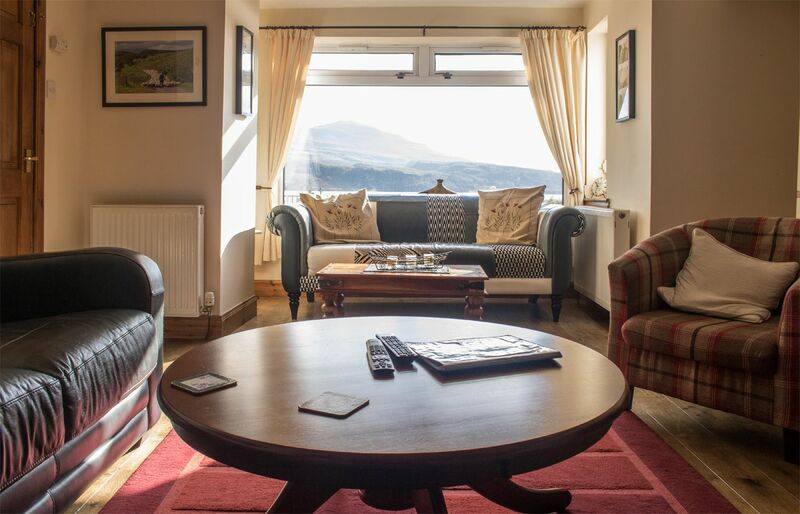 The lounge is light and airy with a bay window to enjoy the superb views. 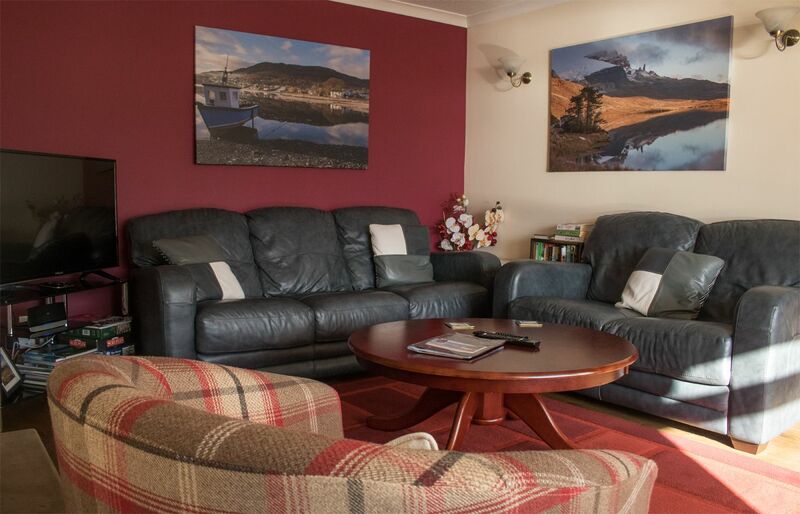 The sofa's are Itallian leather and are perfect for relaxing upon after a day exploring the Isle of Skye. 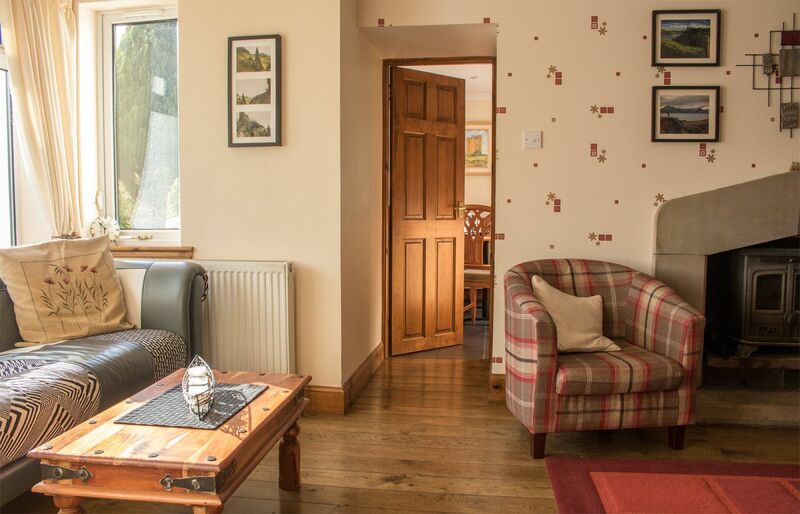 There is a log burner which creates a warm ambience and a flat screen TV, perfect for evenings in. WiFi is available throughout the property. 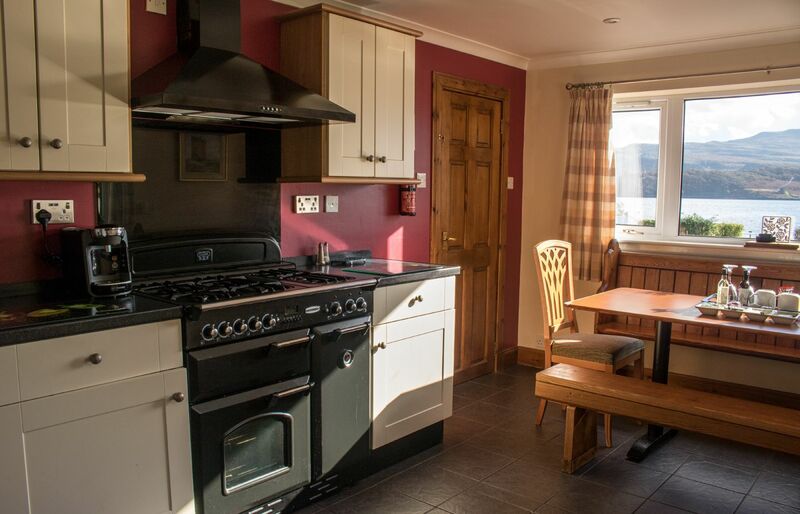 The kitchen / dining room is fully equipped. 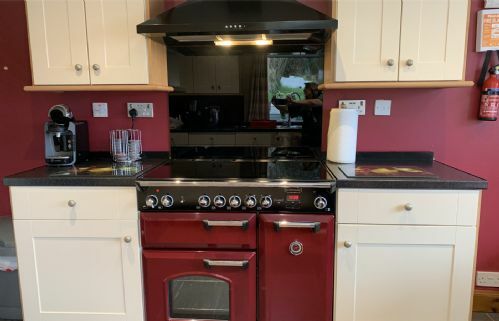 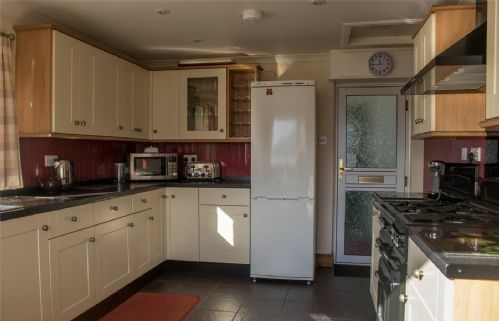 It includes an electric range with gas hob, dishwasher, fridge/freezer, microwave, cafetierre, filter coffee machine and a Tassimo coffee machine. The dining table seats six as it is but it can be extended to seat 8 people very comfortably. Ideal for family gatherings. The master bedroom has a superking size bed, a flat screen TV, seating area in the bay window from which to enjoy the views and an ensuite with shower, W.C. and wash hand basin. 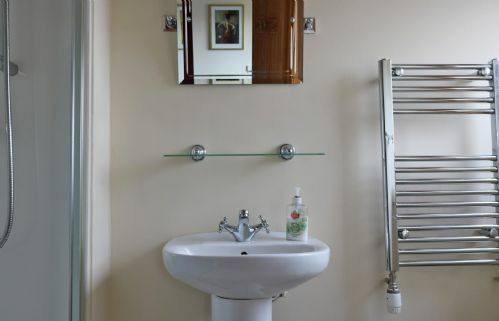 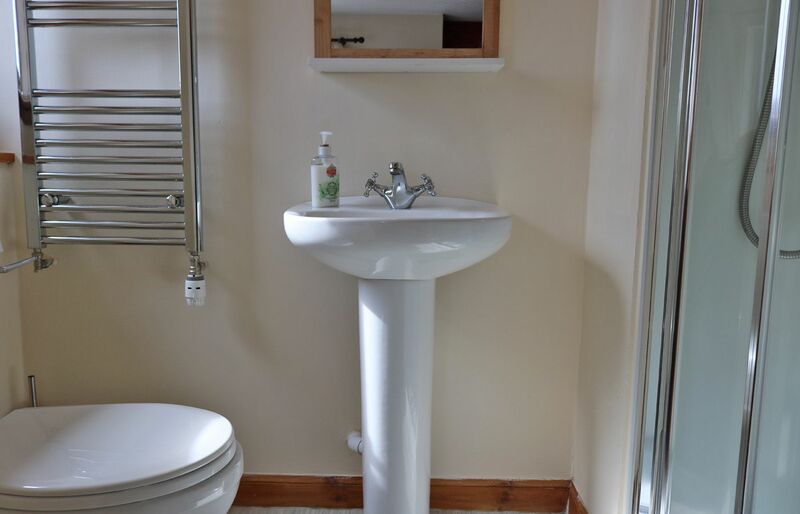 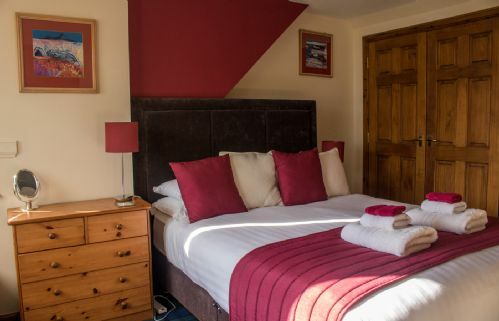 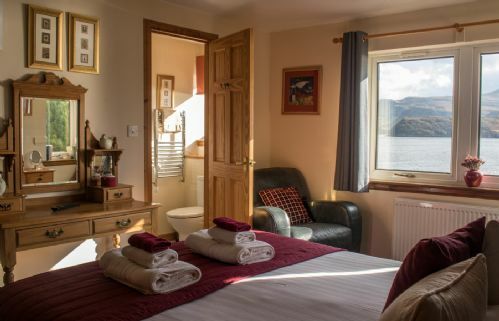 Upstairs there is a twin and a double bedroom, both of which have an ensuite with shower, W.C. and wash hand basin, a flatscreen TV and superb views looking over the bay. 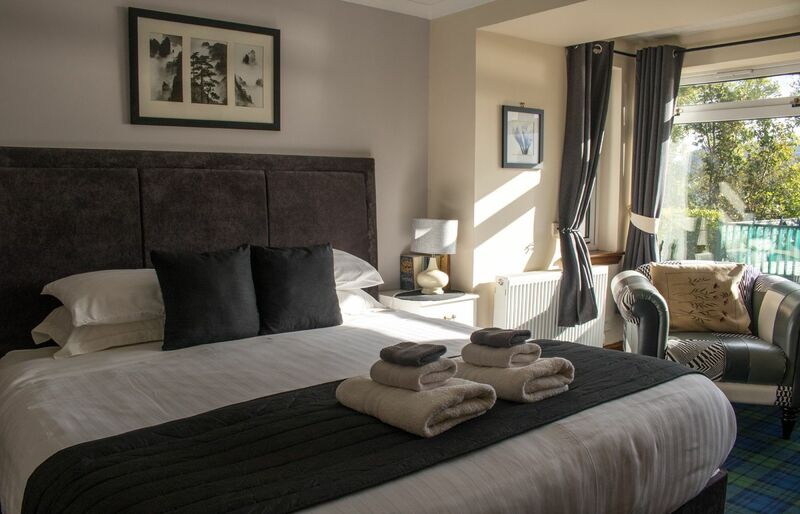 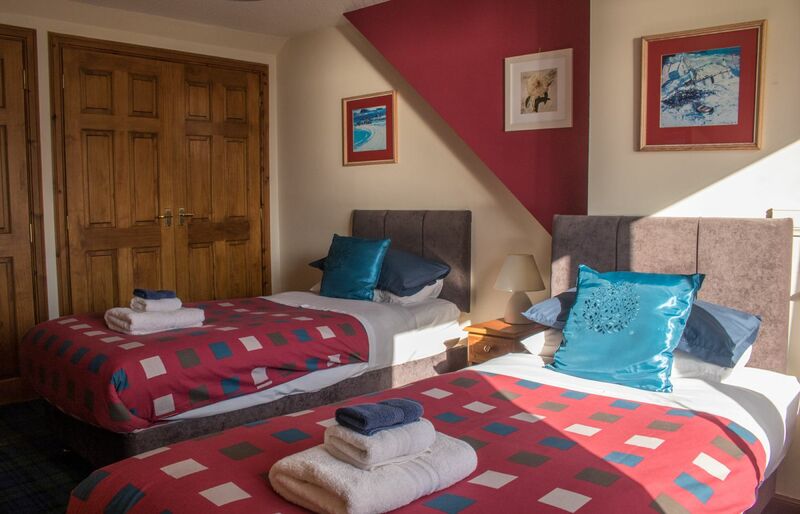 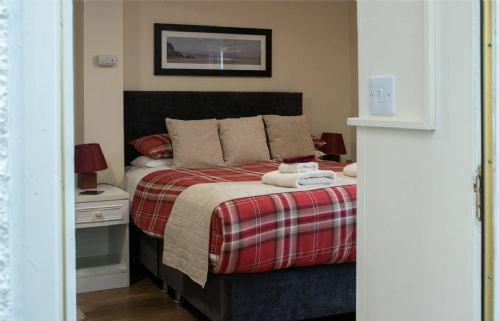 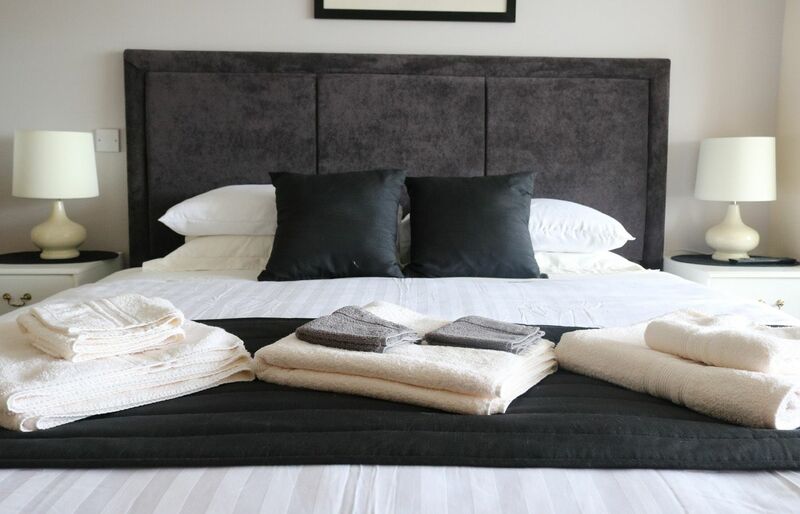 The bedrooms also have ample storage and the double room has a king size bed and a seating area. 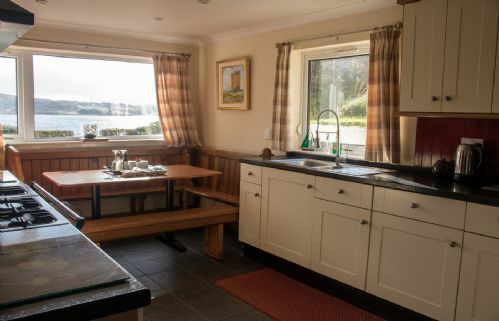 To the rear of the main house there is the utility room with washing machine and tumble dryer. Also there is the Annex which can be rented out in addition to the main building. Whilst the main building can sleep couples, families and friends with a maximum of 6 people in the party. 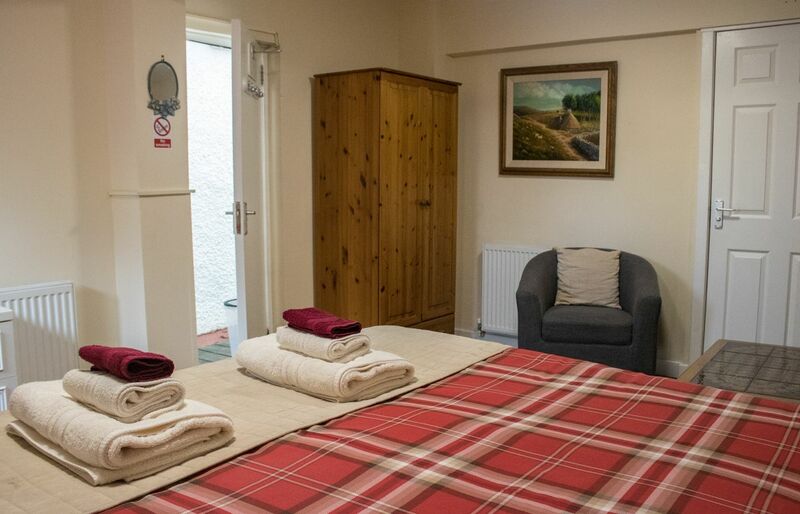 The Annex offers an additional bedroom for a further two guests so the whole cottage can sleep up to 8 people if required. 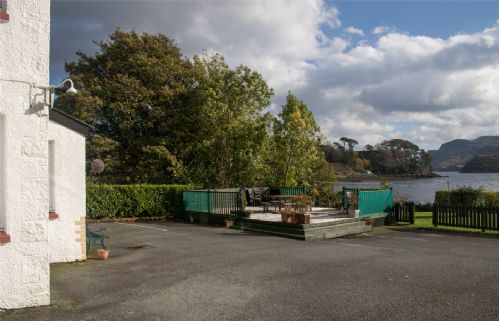 The Annex is situated behind the main house and so has no sea views. 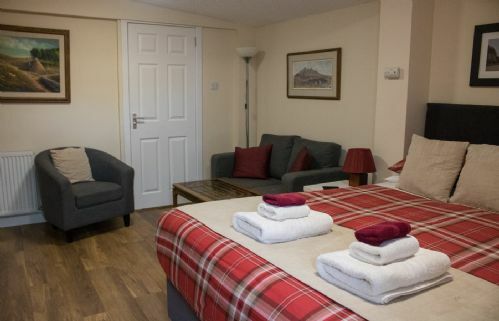 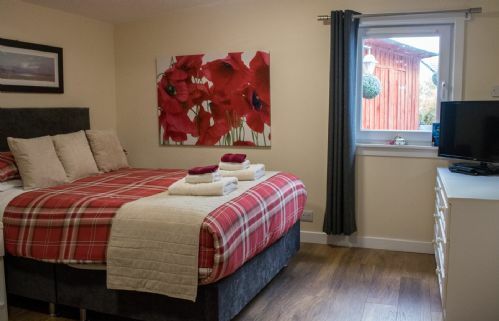 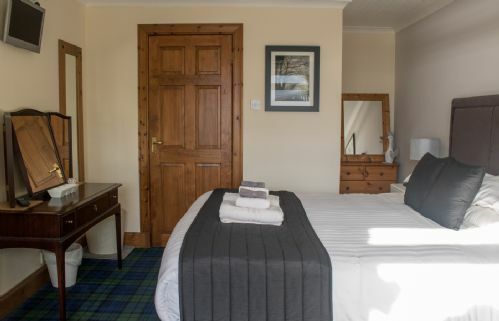 It does have a large double bedroom with seating area, Flatscreen TV and a shower ensuite. 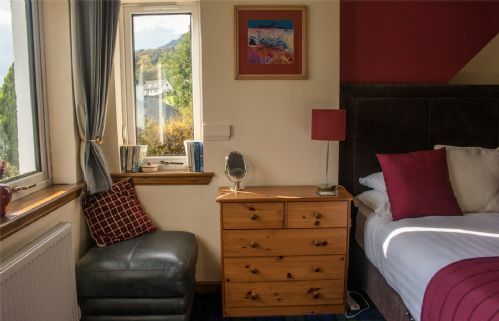 There is a fee of £200 per week to rent the Annex in addition to the main building and this can be added during the booking process. Please note the Annex is only rented with the main house so no other guests will use it if it is not required by your party. There is ample parking for several vehicles next to the cottage. 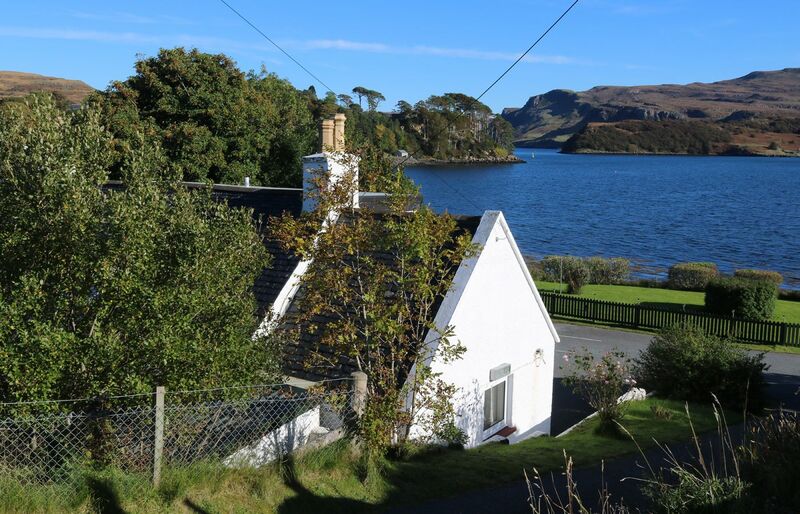 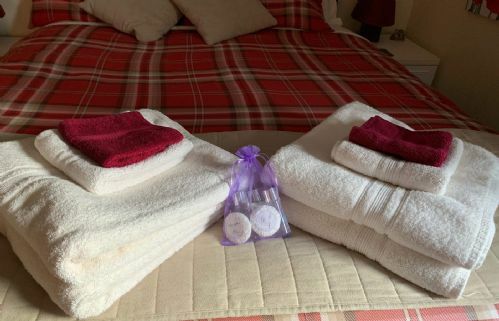 There are special rates for couples looking to stay at Tarradale cottage, from the end of October until the end of March. 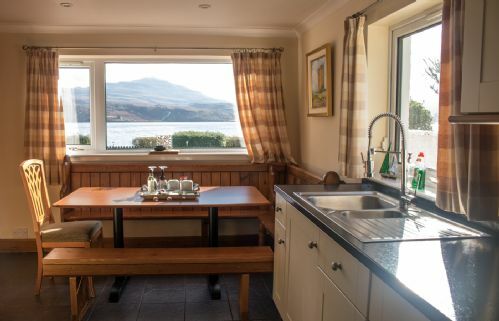 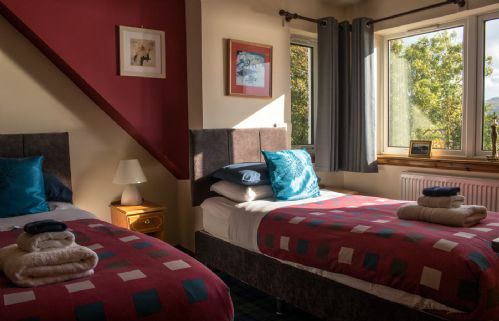 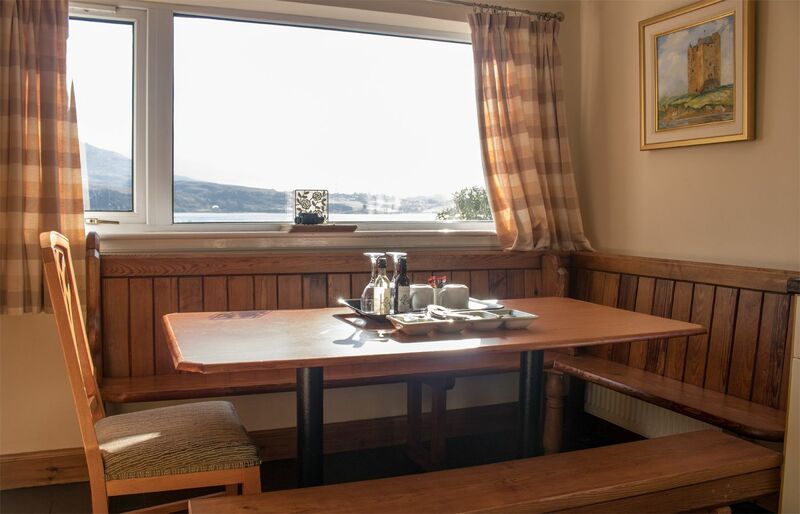 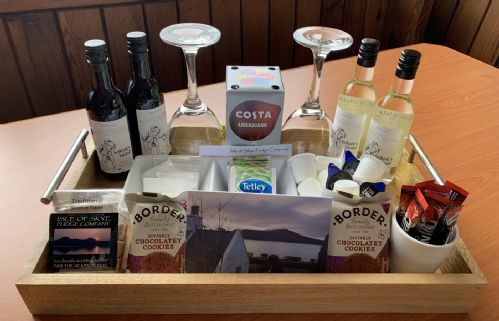 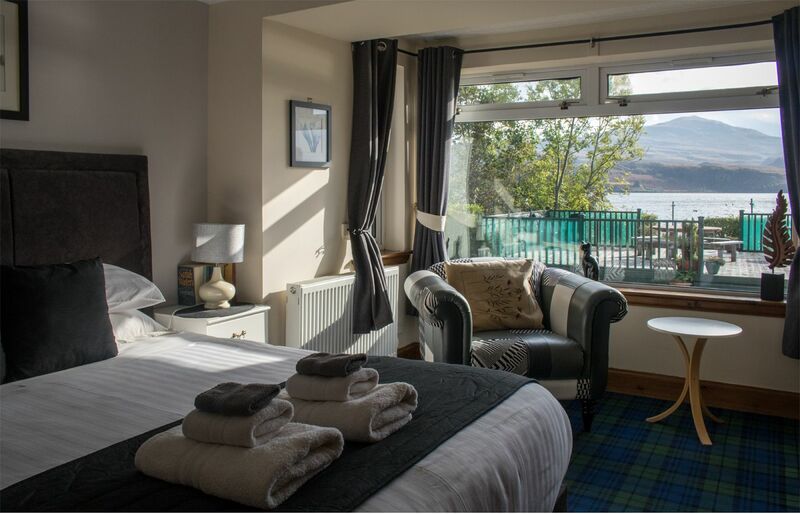 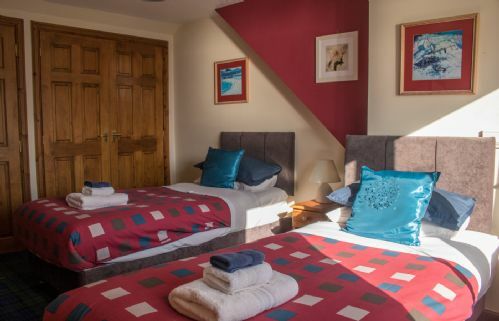 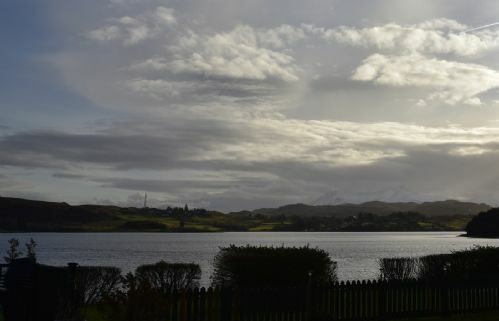 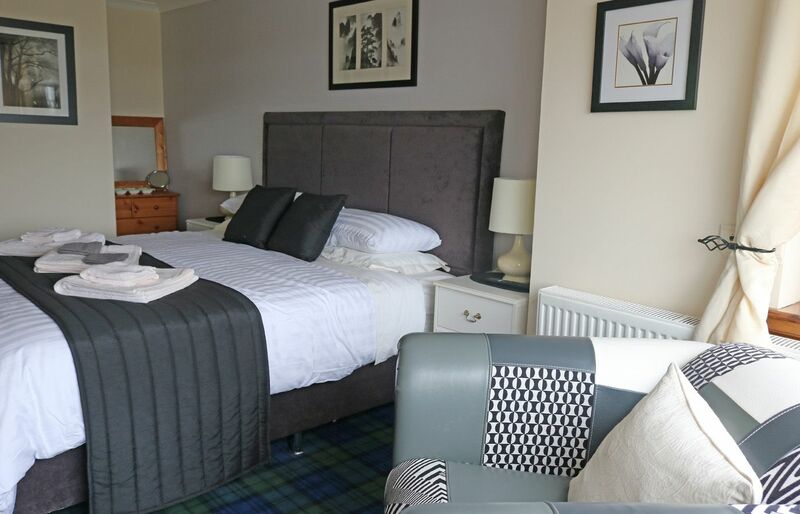 This rate gives access to the whole of the lower, including the master double bedroom with ensuite, ground floor bathroom, lounge with log fire and the kitchen / dining room, all of which have fantastic views over Loch Portree. Access to the utility room is also included. 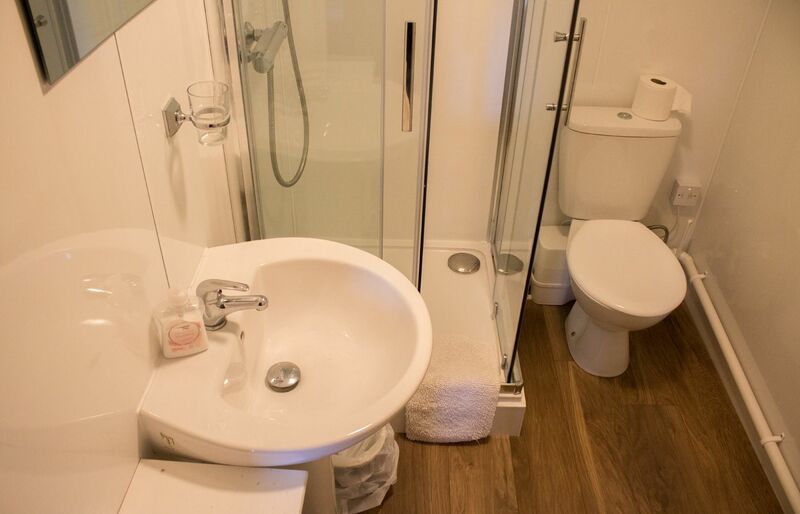 Therefore there can be a maximum of 2 people staying at the property at this rate.